At Stitchy Lizard we offer a wide array of customized screen printed and sublimated lanyards for all business needs. 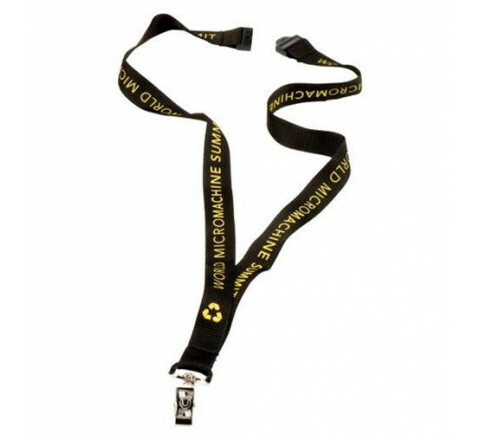 A number of the available lanyard options we currently offer are eco-friendly, and either cotton, polyester, or organic cotton. Cost-effective marketing strategy. 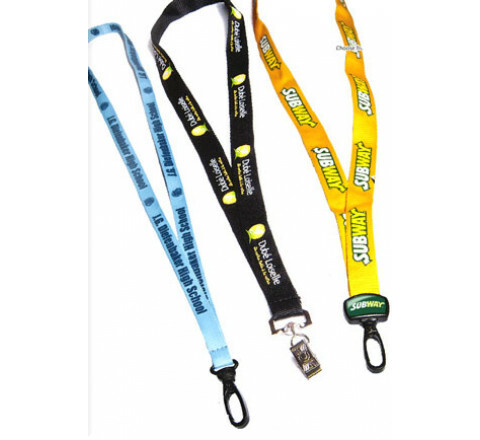 Lanyards are a great product to hand out as a promotional gift because they are a cost effective way to promote your brand, business or company. Depending on what you have printed on the lanyards, they can even promote the company’s mission statement, mascot, or contact info to ensure clients always have your info at the ready. Marketing via promotional items is the most effective and economical option as opposed to more modern marketing strategies like television and print advertisements, or corporate events. Lanyards are great for any audience! The lanyard is an amazing product to customize for your business because anybody can use them: kids, students, professional and the elderly can all find smart uses for them. For example, many people use them to hold ID cards, keys, and office badges. Speaking of office badges… lanyards are a really great way to increase brand visibility . When people wear lanyards they are generally visible and readable. Having someone wear a promotional lanyard for your business increases general familiarity of brand, both from the person using it and the people who are seeing it while it's in use! Consider the following: if one person goes into the office wearing a lanyard with your company name on it, and it is seen by 20 people, you have effectively (and cheaply) advertised your brand to 21 people in one day! Portability . Whether you’re attending a conference, visiting fellow businesses or existing clients, taking part in a photo-op, or engaging with the community, lanyards are always a great lightweight gift to have on your person. You can always have lanyards on hand to give out at a moment’s notice, increasing brand visibility but also giving your business a favourable reputation within the community. Who doesn’t love free gifts?! Stitchy Lizard is Toronto’s #1 supplier of customized merchandise and promotional products. Give us a call or continue on our website today and take the first step towards attaining your personalized & unforgettable business-branded merchandise today! 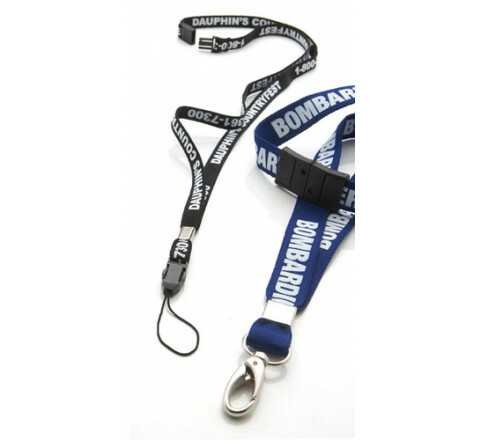 Lanyards are worn by employees for a professional look inside the office premise. Lanyards are popular for a number of reasons: They are easy to use, all you have to do is just put them around your neck. They keep a card upfront and visible. They're available in a number of different styles and end fittings and lastly, they're customizable for a brand enhancement. Presently the lanyards are in high demand, especially in the corporate culture. That is why the employers are making a paradigm shift towards the custom made lanyards. But choosing the right lanyard for your employees is a tedious task. You not only have to make sure that it meets your expectations but also it makes them feel appreciated. 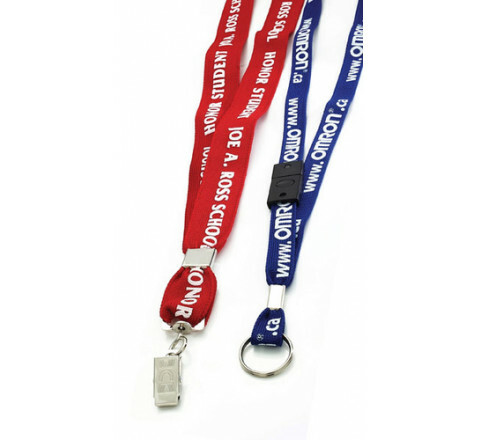 All you have to do is put some thoughtfulness into the type and design of the custom imprinted nylon lanyards to boost job satisfaction and make your employees look sharp and professional. What's the Purpose – The first thing that you need to think about is “What is the purpose of lanyards in your establishment”? Are you using them to clearly display the employee ID cards? Will they be used for added convenience to storing and placing keys? Or for brand promotion? Whatever may be the answer for using the lanyards. This is a crucial first step for every decision on material, artwork, and attachments will be based on the utility. 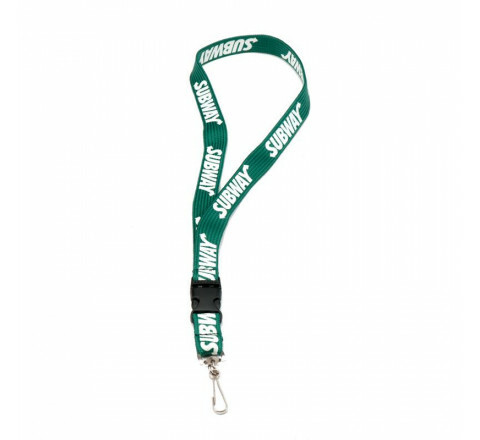 Once you know the reason as to why you and your team needs lanyard, it’s time to work on the style of the lanyard. 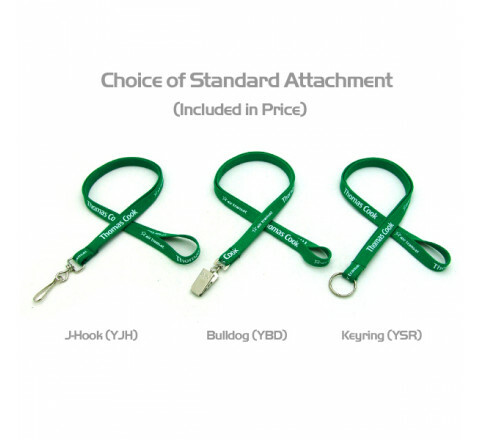 What Style Do You Want – There are several varieties of lanyards. While some have a quick release, others are completely suitable for tradeshow or awareness campaigns. When deciding what style is best suitable for you, answer a few questions: How will your employees use the lanyard on a daily basis? Are you looking for lanyards for some special occasion, if yes then what it is? What environment are your employees working in? 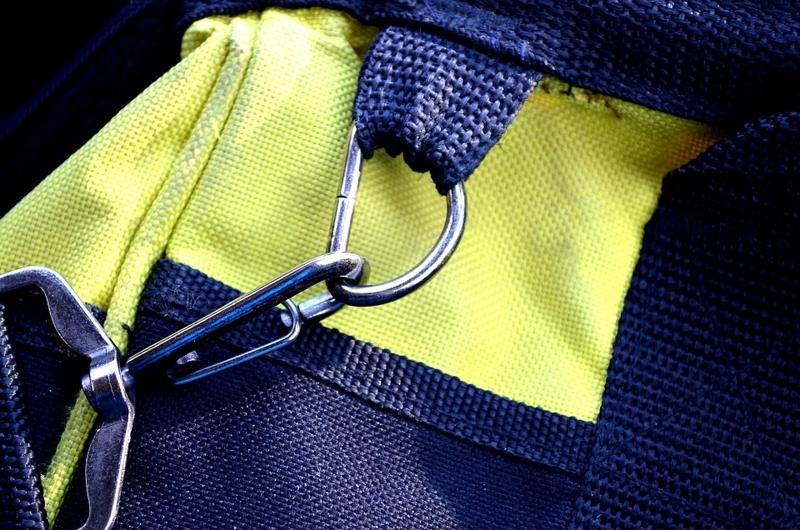 If your employees have keys or other punch cards connected in their lanyard, use the one that has quick release clip. 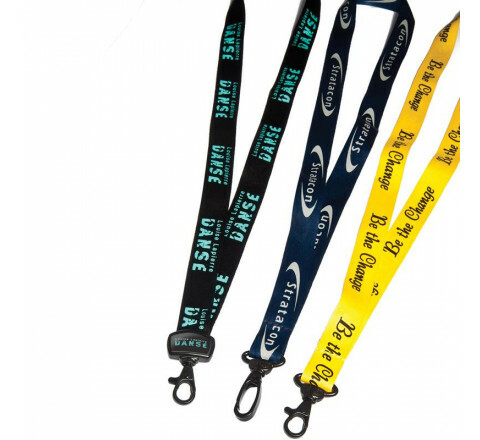 If you have some conference coming up, use the custom imprinted nylon lanyards as you can get your logo embossed along with your company name and punch line. What Type of Material is Best – There are different materials you can choose from, each with its own look and feel. But nylon and polyester are the most preferred. We also offer coarse weave, woven, dye, sublimation, and aloha lei lanyards. Regardless which material you select, be assured that all are materials are of fine quality and can be machine washed/dried. 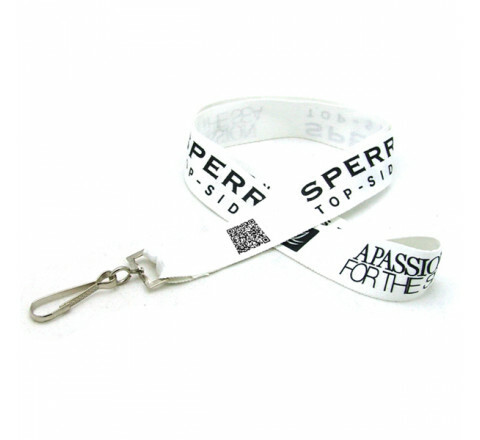 Printed Artwork and Logo – On the basis of the artwork and text that you would like to get imprinted on the lanyard, there are different materials that offer different aesthetic options. 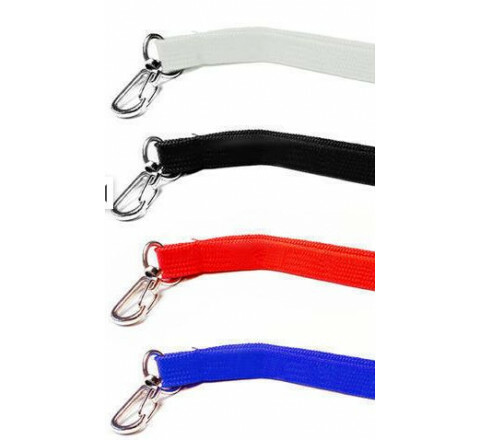 Our team of specialist can help you with custom imprinted nylon lanyards so that it fits your desired look and feel. Following these steps will help you find the right lanyard for your employees in a simple and easy manner. Stitchy Lizard specializes in a myriad of custom nylon lanyards. 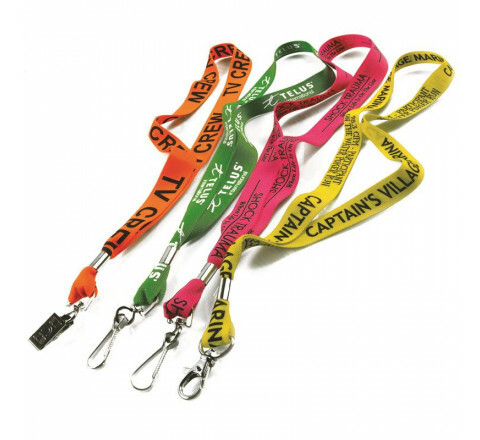 We can provide you a range of lanyards to suit your corporate requirements including digi-dyed sublimated lanyards to recycled PET sublimated lanyards, government clip for identification cards without slots / holes and aloha lei lanyards to name a few. Contact us today for a quote!